AMD are getting set to release their new GPU known by the codename ‘Tonga’, and the Radeon R9 285 will be the first in the Tonga product line. If you’re expecting a massive cooler and the a card which dwarfs the Titan Black, you’ll be disappointed. Instead we have a smaller card that possibly will even be available for the Mini-ITX form factor. 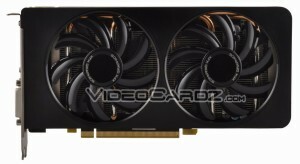 That doesn’t mean the R9 285 will be a performance slouch however, and is expected to sit between the R9 270X and the R9 280 (checkout our R9 280 vs GTX 760 review here) in pixel and compute power. While many details are still under wraps (hardly a surprise as the card isn’t officially released yet), rumors show the card with 2GB of GDDR5 RAM on a 256 Bit bus. Supposedly the memory clock is 5500MHZ, which means the cards memory bandwidth will be identical to Sony’s Playstation 4, 176GB/s. As for core clocks, the number of Stream Processors, ROPS, TMU’s and the like aren’t known, but the clock speed is reported to be 918MHZ. The full Tonga chip has the same number of Stream Processors as the Tahiti (that’s 2048, to save you from Googling), but different GPU’s come with different configurations, so how many of those 2048 remain active on the Radeon R9 285 remains a mystery. In theory, the card should be appearing on shelves fairly soon – a month at pure most, but likely within just a few weeks as we’re already starting to see pictures of the R9 285 from AMD’s various board partners (such as HIS, XFX and Sapphire). All of the brands seem to have the same set of outputs, that would be 2x DVI, a single HDMI and a single Display Port… pretty standard stuff for a GPU in this pricing range. TDP is also a question, but the card does sport two six pin PCIE power connectors… so we’re likely to see at around the 200W range. It’s possible we’ll also see a R9 285X too… which’ll make sense as eventually we’ll likely see the R9 285’s replace the previous cards in the range. Finally, we can likely guess that due to the lack of CrossFire connector on the card, if you want to use dual GPU’s you’ll do so via XDMA. Tagged with AMD, gaming news, gpu, graphics card, hardware, Mantle, PC gaming, R9, radeon, tongue, TrueAudio.